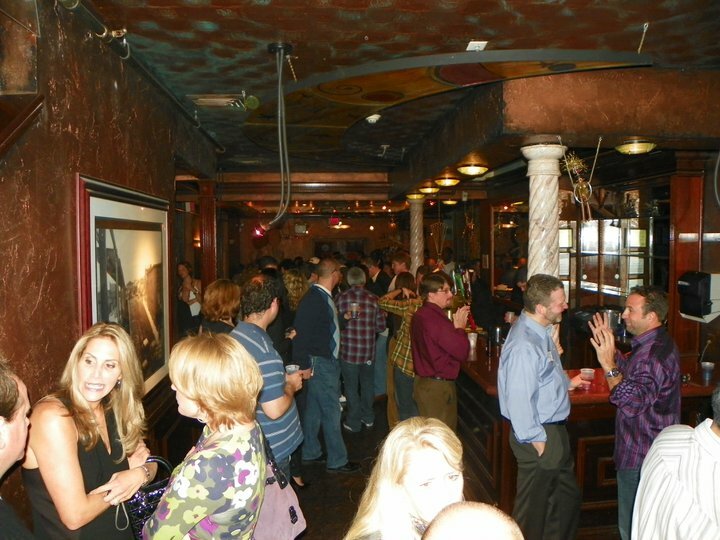 I had an interesting end to the Thanksgiving Holiday last week as my High School Classmates were gathering for our 25th Reunion on Friday night in suburban Philadelphia. Normally this would be another missed opportunity to connect with my former Lower Merion High School friends as I moved far away after High School and do not make it back to the area with any great frequency. Occasionally I will have a work trip that will drop me in Philadelphia for 48 hours. Those trips of course start with an early morning flight leaving the house in Austin sometime around 5:30 a.m., followed by a cross-country flight, baggage claim, rental car counters and a quick sandwich someplace. An afternoon of meetings, dinner with a client or a remote employee and finally a check-in time at the hotel of about 10:00 p.m. E-mails, phone call follow-up, an early morning training run and then a “do-over” until it is time to fly back home to Austin. Interesting that growing up in the Philadelphia area for the first 18 years of my life, Ardmore, PA was home. I felt like it always would be. The little house I grew up in on East Spring Avenue, across from South Ardmore Park was “home”. That is where I would learn to walk, talk, read, study, fix my bicycle and play sports. Where my Dad used to pitch a nerf ball to me in the living room for me to hit with my small Phillies Bat. As I got older I would hit line drives off of the painting above the couch in the living room. I can only imagine what my Mom thought about that. I’m pretty sure my Dad thought the same thing as me. “Base Hit”. About the same time I went away to college in South Carolina my parents sold the house on Spring Avenue and retired to Charleston. Long before the days of Twitter, Facebook, cell phones and e-mail, I was pretty much on my own. Sure there was the occasional Sunday phone call “back home” to friends when the rates went down, or we could write letters, but for the most part, my suburban Philadelphia allegiance was reduced to rooting for the Phillies, Eagles, Sixers and Flyers. I still do with great passion to this day. Afterall, you can take the boy out of Philly, but you can’t take the Philly out of the boy. But being in Pittsburgh for Thanksgiving for the first time really since 1997 or so, granted me the opportunity to fly down quickly on Friday afternoon, attend our class reunion and then fly back home to Austin on a 5:35 a.m. flight Saturday morning. It would be a tight trip, but I was looking forward to connecting with some old friends that I quite literally had not seen in close to 25 years. My closest friend, dating all the way back to Ms. Nancy’s kindergarten class is Steve Boschi. Bosch and I had been through just about everything together. 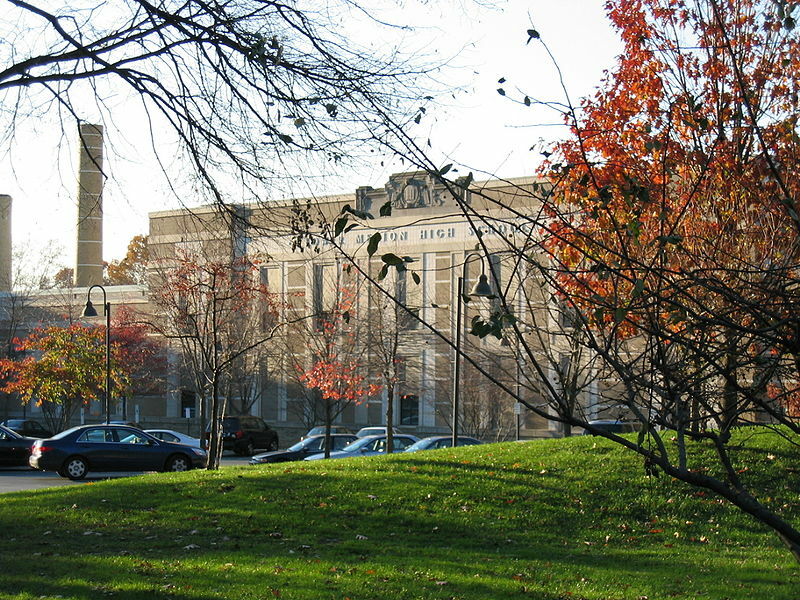 Elementary school at Wynnewood Road School. Football at St. Coleman’s, our first bikes, cars and even girlfriends. Much like my parents, Mr. and Mrs. Boschi sold the house on Inwood Road, just a couple blocks away from my house and moved out to Devon. 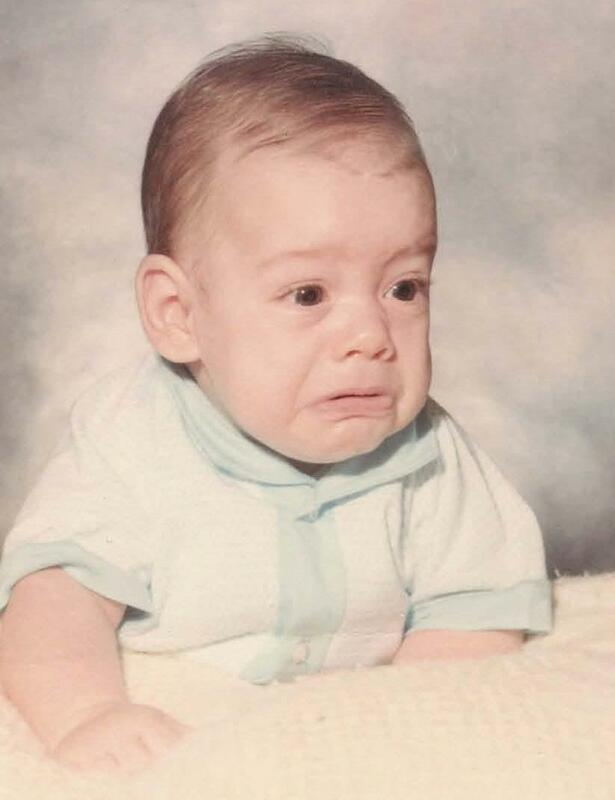 Steve’s childhood home was no longer “his”, but with the exception of his big sister who moved away, now living in Houston, TX ironically, Steve stayed “home”. Our respite was about to come to a screeching halt as gradually more and more members of the Class of ’85 had the same idea that we did. A little pre-reunion get together, before the main event. Gradually more and more of our classmates showed up. Jon Miller, Rob Kolton, Scott Dickler, Ron Braverman, Chuck Shames …. amazingly the faces came back to me very quickly, as did the memories of 25 years gone by. We made our way over to the Reunion and it was more of the same. There was the occasional “Who’s that?” mixed in to keep the night interesting, but all things considered, I think the class of 1985 has fared pretty well since we departed dear old Lower Merion High School. A couple of our classmates married each other which I found interesting and refreshing all at the same time. Some had the career they always wanted, some did not. Some had a house full of kids (Tony Smith! ), some had little ones just like Dawn and I.
I was amazed as many of my classmates mentioned following my running and how running for Dom last year got them motivated in some way. Some started exercising. Some took up running for the first time. Some were training for half-marathons or full-marathons. I had the greatest time talking “running” with Staci V. and Chris U. – I really hope we get a chance to run and race together some day. I felt like Forrest Gump when he talks about how his running “inspired people” ….. I don’t know about that. But it was great to see so many people who had a passion for our sport, and they were taking advantage of their good health and the time that they could spend running, enjoying it as much as I do. The one thing that I got asked about a lot was how often I “came home”. I realized that in a lot of ways I was “Home” for the first time in many years. It wasn’t the physical location as much as it was the people who were there sharing it with me. “Home” was talking with Natalie Amoruso about hanging out with her, Bosch and our friend Dana, who unfortunately couldn’t make it to the reunion when we were kids. “Home” was talking with Chris Holland about Middle School Basketball Practice, when Chris had the smoothest baseline jump shot you’ve ever seen. “Home” was laughing so hard at something that Bosch said that my abdominal muscles felt like I had just left the gym after a torturous core training session. It was just like old times, only better. We were done with all the B.S. that goes along with High School, at least I was. I enjoyed catching up with everyone I could, knowing that I might not ever have the chance to do so again. I got back to the airport at 12:30 a.m. and dropped off my rental car. A 3 1/2 hour “cat nap” was about all that I had time for before I made my way from the Airport Marriott over to terminal D and started my journey back to Austin. Dawn and Landry were there to pick me up at 10:20 a.m. and we were on our way back “Home”. As we pulled up into the driveway to our house in Avery Ranch I thought to myself how great it felt to be back after a long week of travel. I took it pretty easy during the day on Saturday, no training runs, strength training sessions, just a little rest and relaxation. As I was getting ready for bed I looked down at Dawn and Landry lying on the floor, nose to nose, dozing off for the night. All I could think of was that I was “Home”. Philly, Charleston, Columbia, Austin – it’s not a physical location that determines where “Home” is, it is the people in your life that you share it with. Chalk up one more lesson to my Lower Merion High School education. And I always thought I didn’t learn anything there. I woke up on Sunday morning to the sound of my alarm clock at 5:00 a.m. I had been traveling since last Monday in a pretty action packed week. 6 flights in 6 days, work meetings, family Thanksgiving Dinner, a 5k race and my 25th High School Reunion on Friday night. That is a whole lot of “action” packed into less than one week. As I shuffled into the bathroom to get geared up for my Sunday long run I glanced at the thermometer in the window. 42 degrees. Just about perfect weather for running if you ask me. I had a 16 mile long run on the schedule, which would wrap up a pretty heavy week of training. 16 miles on the tri-bike on Monday. 8 miles on the Three Rivers Trail in Pittsburgh Tuesday. 10 miles on the Montour Trail on Wednesday. The Hopewell Turkey Trot 5K on Thursday. 11.5 miles on the treadmill before my reunion on Friday. I had the feeling that I would be “tacking one on” as I had been doing for each of my Sunday long runs the last few weeks. Careful to not increase my weekly mileage vs. the previous week too quickly, I have been smart about my ramp up this training cycle and my legs were feeling fresh. 17 miles felt about right as I was lacing up my shoes, and I had just the route in mind. I would combine my 12 mile “hill route” with my 5 mile “Boston Course” that features some climbing but also some downhill running. A perfect way to wrap up the week at 49.6 running miles. My highest weekly mileage since ramping up for Pittsburgh in 2009, as last years Run for Dom “Double” came on the heels of a training injury. I was only able to run four days per week instead of the usual five. I paid the price for that reduction in training miles when I reached the Newton Hills at the Boston Marathon. This was going to be a “no-look” long run, where I only listen for the beeps on my watch so I know when I reach specific distance points. This allows me to know when to drink and when to take my Clif Shot Bloks for nutrition, but not fixating on every mile split. Long runs to me are practice runs for the marathon. I rehearse everything about race day, when I get this close to the marathon, I mimic my race-day hydration and nutrition plan exactly. Locking it in I like to call it. I’ve found that will get me through my 20 and 21 mile training runs feeling hydrated and with enough energy. Come race day I will tack on water and nutrition “as needed” as it is tough to predict exactly how you will feel and what your body will need when you switch from your Glycogen stores over to burning fat. In Pittsburgh in 2009, I found I needed only water until the end of the race. In Boston in 2010, I needed just about everything I could get my hands on to make my way past Fenway Park and onto the Boyleston Street finish line. As I stretched against the garage waiting for my GPS watch to realize I was back home in Austin I caught myself yawning. Never happens. By the time I am outside I am normally wide awake. The less than 4 hours of sleep I got on Friday night was catching up with me. I thought it wise to shake loose slowly on Sunday. I would have plenty of time to make up for a sluggish start. I headed uphill away from the house towards Avery Ranch Road and would be making my way six miles out past HWY 183. A lot of climbing over those six miles. At my turnaround it would be time to take a shot of Gatorade and start making my way back to the house. This will be the start to all of my Sunday long runs throughout this training cycle, letting me get in a decent amount of hill work and drop one of my empty water bottles at the house on the way past at mile 12. I will then add 5,6,7,8 or 9 miles to the run from there, stretching me out to my longest of long runs at 21 miles for this training cycle. I managed the first two miles at a nice, smooth and easy pace – 7:32 and 7:35. When I took my first sip of water at the start of mile 3, I gradually started to churn the legs a bit faster and ramped up the pace. By the time I reached the first big climb over mile 4 I was really feeling great. Before I knew it I was back on Avery Ranch Road headed south into a slight breeze. Free and easy, legs churning back toward home. 12 miles, a little under 1 hour 25 minutes and I had not crossed paths with a single runner. It really was a solo mission on Sunday which gave me a lot of time to think about Austin. I’ve been struggling a bit to “find my pace” for this particular marathon. These Sunday long runs will play a big roll in me “locking it in” a few weeks before race day. Prior to Pittsburgh in 2009, my goal pace was easy. To qualify for the Boston Marathon I would need to break 3:20:00. 7:38 min./mile pace. This time around I know I am capable of much more. Qualifying for Boston remains my “A Goal”, the goal by which if everything fails to come together I will either claim victory or defeat at the hands of Lady Marathon. My “B Goal” is also pretty straight forward. PR at Austin. That means bettering my 3:17:43 from Pittsburgh, 7:31 min./mile pace. My “C Goal”? That is the one that is up for debate right now. I believe that every marathoner no matter their ability should show up to race day with several goals. They can be as simple as, “Just Finish”, “Don’t Walk” or “Have Fun”. But to only show up with one goal, specifically one time goal risks disappointment. The marathon is a tricky, tricky race. It exposes the smallest of weaknesses over its 26.2 miles. A small training injury, illness, poor weather and your time goal can fall by the wayside very quickly. To not have a series of goals for race day that will allow you to “claim victory” even if you miss your “C” goal or “stretch goal” by a handful of seconds or minutes is important in my eyes. Afterall, running a marathon is a tremendous achievement in and of itself. Less than 1% of all those on earth will ever even attempt it. I think that accomplishment should be celebrated without question. I decided over the final 6 or 7 miles I would run free and easy and let my body tell me, and most importantly show me, what I am capable of on tired legs. The miles frankly came very easy on Sunday. As I was running my final mile, I knew that I had put together a tremendous run. Having not looked at my watch for more than thirty minutes – I had no idea what my time would be. I only knew that I easily had another 5 miles or so in me at that effort, which would put me at close to 22 miles. From that point the marathon turns into a guts race. Something we are more than ready for. As I hit the driveway I glanced down and needed just another 1/10 of a mile to reach my target of 17 miles for the morning. Tacking one on so to speak. 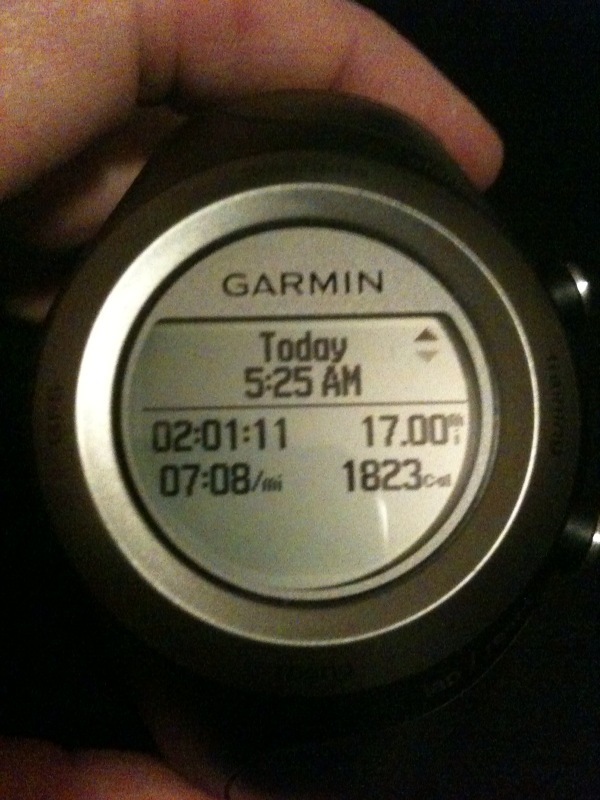 7:08 min./mile pace – the fastest 17 miles I had ever run. 7:32, 7:35, 7:13, 7:11, 7:07, 7:15, 7:14, 7:09, 7:02, 7:05, 7:01, 6:58, 7:04, 6:54, 6:57, 7:00, 6:45. A 7:08 Marathon would put us finishing Austin with a time of 3:07:01. A monster PR of more than 10 minutes. I have some friends, close friends, tremendous runners who know a thing about the marathon. They are encouraging me to dig deep this training cycle and bring my best to every training run and strength training session. They know that I am running this marathon for me, but also in memory of Dom. They want me to push the limits to achieve all that I can on February 20th as do I. Frankly, they think I have more in me than the time above. Me, I’m not so sure. 12 weeks to go until we toe the line on marathon morning. By then, our training will be complete and we will “know” what we are capable of that day. Right now, I’m just trying to stay in the moment and let this training cycle take me where I am meant to go. Thanksgiving morning. All across the United States there is the smell of Turkey cooking in the oven and homemade pies cooling on kitchen counters. Thoughts of sleeping in a little bit later, Football games to watch and time spent with family. For some of us however, Thanksgiving morning means running and racing. I don’t think there is another single day on the calendar that has more “race days” on it than Thanksgiving morning. 5K’s, 8K’s, 10K’s, 10-Milers, Half Marathons and Marathons in every small town, county and city. This year Dawn, Landry and I traveled for the Thanksgiving Holiday to visit with Dawn’s family in Pittsburgh. For a few months leading up to the trip I was looking for a small local race that I could run in Thanksgiving morning. It would be a nice break from marathon training and a chance to “go fast” for the first time since the IBM Uptown Classic in October. Or at least go as fast as these 43-year-old legs can go. A few weeks ago I found a link to the 1st annual Hopewell Turkey Trot. It was a run that would benefit the local Humane Society, starting and ending at Hopewell High School. The local high school where Tony Dorsett ran for touchdowns, Paul Posluzney sacked quarterbacks, where Dawn and her sisters graduated from and where Dominic V. D’Eramo Jr. played football and ran track. Seemed like a great place for me to race. To my surprise Dawn told me a week or so before the trip that she and her sister Kim planned on joining me for the race. It would be Dawn’s first race of any kind. Could it be that “the bug” was going to bite my wife as it did me a little more than 5 years ago? Afterall, I was just going to run one marathon and be done with all this craziness in 2006. Now I’m lucky if I am not planning two or three marathons ahead at a time. The weather forecast for Thursday morning was not looking too great, but I was hoping that the rain that was predicted to hit the Aliquippa area overnight would slide on by and we would have a dry race day. The race was scheduled to start at 9:00 a.m., just a 10 minute drive or so from Dawn’s parent’s house. I woke to the sound of wind and rain hitting the window of the bedroom. I had a feeling that I would be racing alone on Thursday as the conditions out there were pretty brutal. 38 degrees, 15 mile per hour winds, windchill of 31, with a steady, sometimes heavy rain falling. Dawn let me know that she and Kim were out, frankly I couldn’t blame them one bit, so I started to get dressed for the race. Body Glide applied liberally EVERYWHERE, tights, under armour cold gear, ear cover, running ball cap, two pairs of gloves and my Brooks T6 racers. I thought about wearing my heavier Asics trainers for a little more “height” and protection from the wet streets, but I opted for the lower, lighter, speedier shoes. I made the drive to the high school, picked up my bib and got back in the car to try to stay dry and warm as long as possible. I got a text from Dawn telling me that my father-in-law would be making his way up to the track to see me race. I told Dawn to let John know that he should stay put, that it was pretty miserable outside, but to be completely honest, I was glad that he was coming up for the race. It is always more fun when family is there to greet you after a tough run. A few minutes before the gun I went down onto the high school track and ran a quick 1/2 mile warm-up. 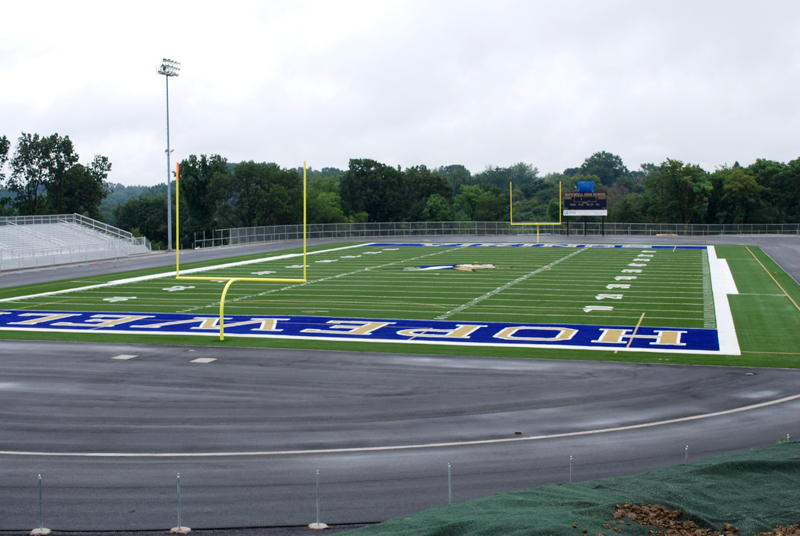 The football stadium and track at Hopewell High School recently went through a $5 Million renovation and the facility is absolutely top-notch. The nicest track I have ever turned laps on without a doubt. 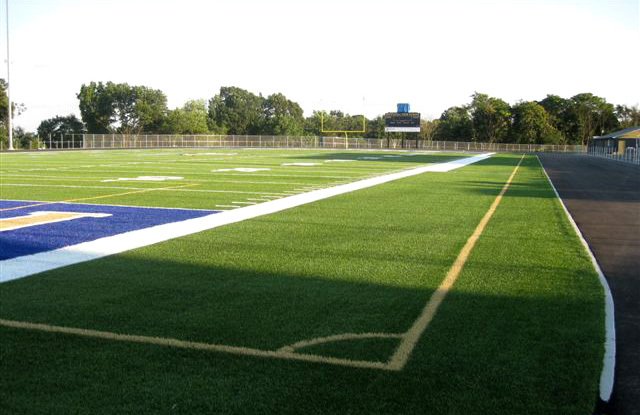 I went out onto the field turf football field and ran a few strides over 60 yards or so. My feet started to feel wet and cold as all of the rain had worked through my race flats, my running socks and was now chilling my toes. Whatever I thought. You’re already wet, what’s the difference now? We toed the line and listened to the race instructions. Being at the “1st Annual” anything can be a little stressful as races are challenging to put together. Course Markings, Course Volunteers, Water Stops, these things just don’t happen naturally. They take a lot of planning and I wondered how well put together the event would be in its first iteration. I cozied up to a couple of young runners who looked like they were going to go out fast and decided I would try to run the first mile somewhere around 5:50 or so and go from there. With the rain, wind and what I imagined would be a hilly course, a PR was not going to be something that would be very realistic. I did want to run well however and see how close we could stick to the leaders. As we readied for the gun I thought about my somewhat ill-advised 10-mile trail run less than 24 hours earlier. I wonder how my legs will feel I thought, and a moment later the horn sounded. Mile 1: The race started with a quick lap around the track and as we reached the top of the first straightaway and made the turn I knew exactly how my legs were going to feel. TIGHT. My quads were fighting back a bit and as I got into a nice lean and increased my leg turnover I could tell that I left a little bit of speed out on the Montour Trail on Wednesday. I settled in behind two college runners in third position and made my way out of the track area, onto the surface street and up the hill behind the high school. I felt relatively decent and as the rain and wind whipped at the runners I just tucked my head down a bit to keep the bill of my hat below the wind. The next two turns were well-marked with volunteers pointing out the route. In fact each and every turn of the course not only had a large Black and White arrowed sign pointing the way, but there was a volunteer manning every corner and turn. What a wonderful way to organize the first running of the event. There must have been more than 20 volunteers working out on the 3.1 mile course. Tremendous. We kept climbing up the first mile and even though I was pushing relatively hard, I could tell that the first mile would not be quite as fast as our PR effort of 18:12 earlier this fall. At the first mile mark a race volunteer called out 5:57. Not a bad first mile given the conditions, but the two rabbits up ahead were running strong. We would be racing for third. Mile 2: The second mile took us around the Hopewell Middle School where my Mother-In-Law Nancy teaches. We hit a downhill stretch finally and I got the opportunity to use some different leg muscles. My quads started to loosen up a bit, but my calves were now working a little bit harder. We made a tight right turn and I was able to look ahead onto a long straightaway. We were about to go up, up, up. All those hill repeats began to pay off once again and I was actually cutting into the lead that runner number two had over us. We were still 20 seconds or so behind him, but we were close enough that we could hear his footfalls and it helped us push a little bit harder. We hit mile number two with a split of 6:15. Not too bad a mile given the hills and wind. One more to go. Mile 3: The third mile was a mixed bag. A little bit of climbing, a little bit of rolling downhills and before I knew it we were running back through the parking lot to the football stadium. I glanced over my shoulder to see if anyone was chasing as I had not heard any footsteps behind me for almost a half mile. I couldn’t see the fourth place runner behind me and knew that we would not have the kick to catch runner number two. We would be pushing around the final 400 meters just running for time. I came through the final lap on the track feeling pretty good actually. 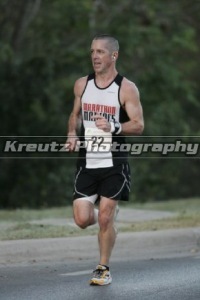 The mile would close out at 6:12 pace The final 1/10 came with me pushing across the line back under 6:00 at 5:50 pace. Total time: 18:41, 6:04 pace, Third Place overall. My Father-In-Law and I hung around to chat with the volunteers and race Director Brian Bucci. A senior this year at Hopewell High School, he put on the Turkey Trot as his Senior Project. I told Brian that I had been to a lot of races this year and he put on a tremendous event for a great cause. 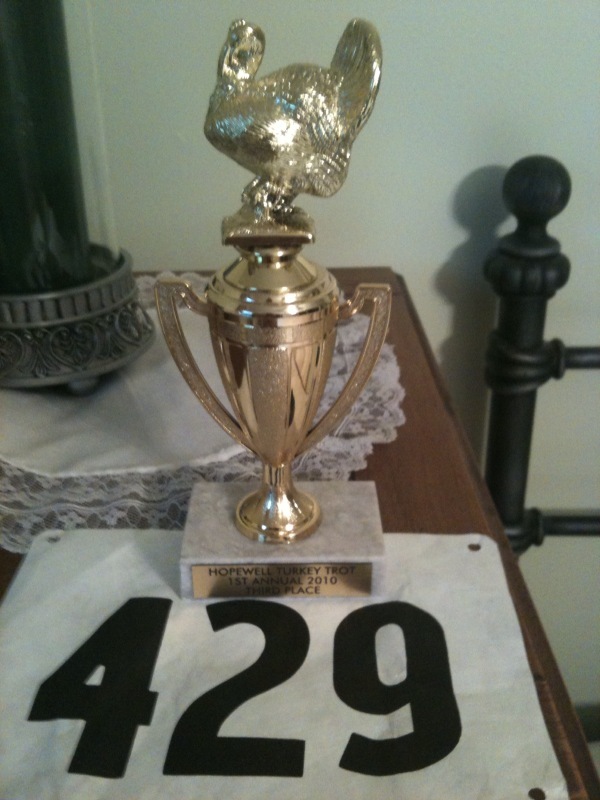 We even got to take home a little Turkey Trot Hardware for our troubles – always a bonus! 21.1 miles logged in Pittsburgh this week. Some were fast, some were slow, some were warm, some were cold. Some made me smile, some made me sad and a couple this morning made me realize what a gift this thing “Life” that we sometimes take for granted truly is. No matter how tempting it can be, no matter how warm and snuggly those covers feel on a cold, wet day. It’s always wise to get out there and do the best that you can. That’s what those initials on my shoes were telling me this morning. I’ll never regret going for a run or racing, but I will most certainly regret the times that I don’t. Thanks for the reminder Dom. We finished about 10 seconds behind a Freshman on the Slippery Rock Track Team. Not bad for a 43 year-old marathoner. We’ll do better next time. Just gotta keep pushing. One of the things that I have started to really look forward to recently is to find new places to run while I am away from home in Austin, TX. Run for Dom in just the last 12 months has taken me to 27 different running cities in three different countries. I’ve run across the Golden Gate Bridge, along the coastline in Mexico, on the waterfront in Ontario and high in the mountains in Colorado. I’ve run Venice Beach in California, the strip in Las Vegas, from Hopkinton to Boston and of course the city streets of Pittsburgh. But this week while I am in Pittsburgh for the Thanksgiving holiday I was looking for a break from the golf course area near my Mother and Father-in-Laws home. Don’t get me wrong, the Beaver County Country Club is a beautiful place to run, it has some amazingly challenging hills and is less than a mile from their back door. But for some reason I was hankering for something different this week for my training runs. Maybe it was the fact that the last time I ran the golf course was the morning of Dom’s memorial service. I may just not be ready for that run yet. So after running a very nice 8-miles along the Allegheny River on Tuesday morning in downtown Pittsburgh along the Three Rivers Heritage Trail, I was looking for another location to “explore” on Wednesday. 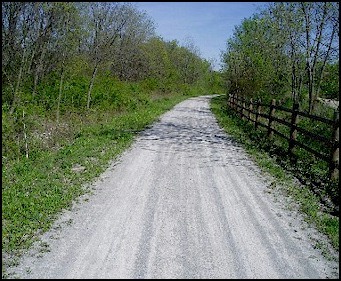 A friend of mine reminded me of the Montour Trail, not too far at all from where Dawn grew up in Hopewell, PA. I would have to drive about 20 minutes to the trailhead just east of Moon, PA. But it was an opportunity to turn my Wednesday run into an adventure. 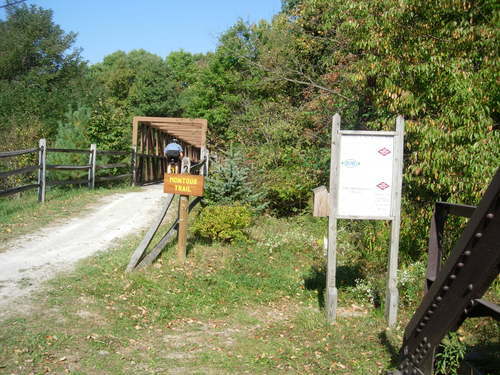 The Montour Trail is a wonderful run, hike and bike trail, made possible by our country’s Rail to Trail initiative. An opportunity to take old railways that are no longer in use and turn them into a trail system allowing outdoor enthusiasts to see some beautiful parts of our country. 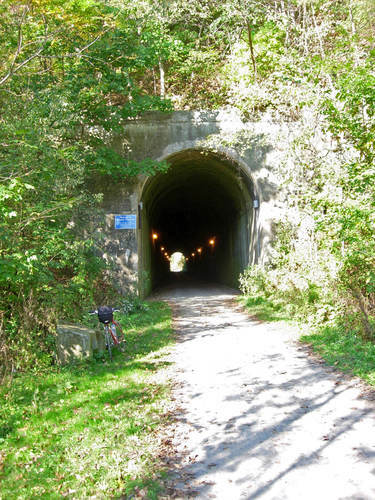 The Montour Trail runs from Pittsburgh all the way to Washington, DC. 32o miles of adventure. I only had a 6.2 mile training run on my training plan as I had taken advantage of the Three Rivers Trail on Tuesday morning to run my “Wednesday 8-miler”. I had a feeling however that 6.2 miles was not going to give me enough freedom to explore, and I might need to stretch things a little bit further. I woke up to 32 degree temperatures, with a wind chill of 24 degrees. As I toggled my iPhone to Austin’s weather it read partly cloudy and 73. Essentially a 50 degree difference. Fortunately I planned ahead and was able to put on running tights, a long sleeve Under Armour Cold Gear top, my long sleeve Boston Marathon technical shirt, two pairs of gloves and my Asics Winter Running Hat. I was warm, snug and feeling fine as I made the 20 minute drive to the trail head. I pulled off of Montour Run Road, parked the car, stretched a bit and headed East. The miles seemed to click by easily as I got underway, running along a small creek that would miles later funnel into one of the rivers that surround Pittsburgh, I was greeted by miles of perfectly packed crushed limestone. My feet crunched away as I headed down the incline toward Robinson, PA, toward downtown Pittsburgh, toward Washington, DC. When I hit the 3 mile mark it was time to turn around if I wanted to bring my run in at 6.2 miles. As I approached the 4 mile mark, I thought that if I turned around and made this an 8-miler, I could run 5 miles or so after my Thanksgiving Day Turkey Trot 5K and get back on track for my weekly mileage. As I got to the fifth mile, I decided that even though I was enjoying myself, it was time to turn around. I would be racing in less than 24 hours. Time to get back. To make things interesting I decided to bring the run in with the second 5 miles coming at a faster pace than the first 5. A Negative split. Something I am hoping to be able to pull off at Austin in February. This was made a bit more difficult as the first five miles featured a gentle downhill grade, that would now require me to climb a bit back to the start of the trailhead. 6 became 7, 7 became 8, 8 on to 9 and a final mile to wrap up a great 10-miler run. As I got back in the car to head home I thought about all the great miles on the trail that we didn’t get a chance to see this morning. During my next visit perhaps I can run longer, or start at a different access point to run through one of the old train tunnels or over another old bridge. That is one of the great things about our sport. No matter how many times you lace up the shoes and go for a run, no matter how far you go or how many races you run. There are always new challenges. New areas to explore, and no matter how far you run, you always have to turn back around before you reach the end. We are now up over 2,000 miles in 2010. 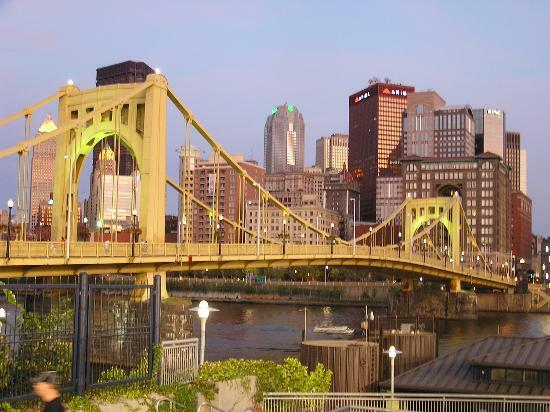 Back in the ‘Burgh …. After a quick 16 mile ride on the tri-bike on Monday morning, it was time to get a move on. I had to finish packing, get Kayla to the kennel and make my way to the airport. I would be flying up to Pittsburgh, PA for a few meetings on Monday and Tuesday at Carnegie Melon University and then the Thanksgiving holiday would begin after wrapping up the business day. I had a lot on my plate this trip, mixing business with a family holiday and even a little bit of racing on Thursday morning at the Hopewell Turkey Trot. On Friday I would be making my way over to Philadelphia for my 25th High School Class Reunion. Now that should be good for some material! Suits, Ties, Running shoes, Racing Flats, dress clothes, casual clothes, and a car-seat pad for Landry that was left behind. My iPod, GPS watch, a second pair of trainers in case it rained on me during my morning runs. Oops, a pair of jeans to fly back in on Saturday morning – almost forgot those. As I dropped off Kayla at the 620 Pet Resort I felt like I had just about everything covered. Of course I was mistaken. I made my way through security, caught up with my friend Cal who is a gate agent for Continental Airlines. He was kind enough to pick up a stuffed airplane for Little Miss Landry who he met on Saturday, checking her and Dawn in for her very first plane ride. I connected in Houston and scored an upgrade to first class for the trip to Pittsburgh. Arriving on-time, I gathered my checked bag, hopped in rental car number one and made my way toward Downtown. Traffic wasn’t so great heading into the city, but nothing too terrible, as I hit the Fort Pitt Tunnel I was just about there. As soon as I came through the other side of the mountain it hit me like a ton of bricks. You know how you have a certain “sense” that hits you when you return to a given location after an absence? For example, anytime I have returned to the Jersey Shore as soon as I cross over the marsh I put down the car windows and let the smell of the salt air drift in. It’s as good as a time-machine as I am transported “down the shore” as it is called where I grew up. It brings back memories of Bacon on Wonderbread Sandwiches on the beach with my Mom when I was a little boy and Dad was off on the boat fishing. Visiting Lucy the Elephant in Margate or the summer I spent working in Ocean City, NJ in my late teens. Well as soon as I drove over the bridge into downtown Pittsburgh and glanced to my right I saw the Pittsburgh Marathon Course. Further ahead on Fort Duquesne Boulevard was the hotel I would be staying in. The last time I was there was May 1,, 2010 – Dom and Val were guests there that night as well, the eve before marathon number two this spring. 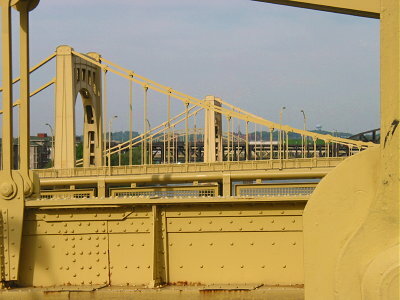 The 6th, 7th and 9th street bridges in Pittsburgh - the only set of three idenitcal bridges in the U.S. I turned left and passed the Italian restaurant where we had our pre-race dinner. Where I sat next to Dom devouring my plate of pasta marinara while he struggled down a few spoonfuls of Italian Wedding Soup. His body failing him. The next morning after the race would be the last time I saw Dom before he passed away in August. Pittsburgh was different now. It would be different forever. When I traveled back in August for Dom’s memorial service there were so many emotions going on, so much sadness it was overwhelming. Today when I look back on that day and a half I spent in Pittsburgh, it all seem like a blur to me now. But this week, being back with time to reflect on things feels very, very different. I’m able to look at things with razor sharp clarity and realize that there will be sights, sounds and smells that will always remind me of Dom. I’ve come to realize this week that the memories I’m left with I had better be sure to enjoy. They are the only ones I’ll ever have of my friend. Tuesday morning’s training run called for an easy 6.2 miles. I figured I would do 8. I decided that I would cross over the 6th street bridge and hit the Three Rivers Heritage Trail. Crossing the very same bridge that set the stage for our best marathon to date and a Boston Qualifying time of 3:17:43. I crossed that same bridge a second time in May of this past year, just as fast as 2009. Actually :13 seconds faster, but with only 12 days of recovery from the Boston Marathon on April 19th, I was running on borrowed time. I would run only three or four more “easy” miles that day, as the final 20 were a battle of wills. The Marathon’s will to break me, mother nature’s will to keep throwing rain, heat, humidity and winds at the runners and my will to keep going. To run every bit of those 26.2 miles to get that Finisher’s Medal for Dom. The run on Tuesday morning was a great one. Sure it was windy, raining and humid, but I’ve come to expect that when I’m running in Pittsburgh. Why would anything change today I thought? The trail took me along the Allegheny River. I had the entire trail to myself in the early morning darkness. I would see only one man on a mountain bike logging some miles before sunup. I ran without my iPod so I could be more in tune with my pacing. Practicing for Austin when I need to be a bit more disciplined with my pace and run consistent even splits. Not just charging over the final miles like a maniac like I’ve been catching myself doing too often lately. After the fourth beep on my watch I turned around on the trail and made my way back to the hotel over the final 4 miles. As I got closer and closer to the bridges, I could see the bright lights from the tall buildings across the river. I glanced up around mile 7 and saw in bright letters – UPMC. University of Pittsburgh Medical Center. The place where Dom spent so much time this past year in consultation with Doctors, having tests, procedures and his surgery last November. I crossed back over Fort Duquesne Boulevard and made my way back inside the Renaissance Pittsburgh Hotel. As I entered the lobby I noticed the large round lounging sofa where Val and Dom told me a story in May. The hotel used to be a nightclub that they came to a few times when they were dating. The name of the club was “Heaven”. Later tonight I will be spending some time with Dom’s wife Val, his daughter Sierra and son Nico. They will be meeting little Landry for the first time. It’s a scene that I know Dom would have enjoyed a whole lot. Miss you Dom, I ran a couple extra for you out there today. Staying in the “Now” …. Several times last year when I was training for the Run for Dom double, I caught myself looking ahead a bit too far down the road. Instead of thinking about the next training run, rest day or cycling workout, I would catch myself thinking about the 12 days of rest between Boston and Pittsburgh. How would I feel? What kind of running would I be able to do? Would my shin pain return? What kind of race would I be able to run at the Pittsburgh Marathon after taking on Boston? I learned a lot of very important lessons last spring. Some were lessons about running, many about friendship, a lot about courage and even more about determination. One of those lessons I keep trying to remind myself of during this ramp up to Austin is the virtue of patience. About how necessary it is to live in the moment, or you risk missing out on some really wonderful things along the way. As tempting as it was to look past Sunday’s 12-mile training run as just a “short, long-run” if there is such a thing. I was determined when I hopped out of bed to really enjoy everything that was about to unfold in front of me over the next hour and a half or so. Step Back weeks are part of my marathon training plan, which are weeks where the distance I run and to some extent the intensity of those workouts is reduced so that you can allow your body a chance to regroup from the previous two weeks of tough training. As I was saying earlier this week, training without recovery weeks is just like training every day without an “off-day”. All you are doing is breaking down your body and their muscles, without allowing them the opportunity to adapt to the increased workload and grow stronger. Rest and recovery is just as important as any “tough workout” you can throw at yourself if you are trying to improve as a runner. But there is a difference between a reduction in training intensity and “mailing in” a workout. Sunday’s 12-mile training run was an opportunity. An opportunity to work on things, to prepare for a variable or two that Lady Marathon may decide to throw our way on February 20, 2011. If my last four marathons are any indication, race day is going to have some surprises. Pittsburgh 2009 – Rain, wind. Boston 2010 – Unprepared for downhill start, race time effected nutrition. Pittsburgh 2010 – Heat, humidity, rain, 12 days between marathons. So what will it be on Sunday, February 20th? No telling. But the more prepared we are for all of the various possibilities, the better our chances are to deliver on a promise I made not only to Dom, but one that I made to myself on May 2nd. So as I stretched against the garage door, working some tightness out of my right calf muscle, I glanced up at the University of South Carolina Flag above my head. It was flapping wildly due north – stiff, standing at attention. I had not had the opportunity to run into a stiff headwind in quite some time. Especially on a pseudo-long run where I was trying to hold a fast pace. I thought about which 12-mile route to take as I waited for my GPS to synch up with the satellites overhead. I could head out onto the “hill course” which would take us not only over the toughest inclines available, but also directly into the headwind for the first 6 miles. On the other hand, I could choose the “Boston Course” which has rolling hills, both up and down and ends up on the Brushy Creek Trail. A bit softer surface and due to the winding nature of that route, I would be alternating between a headwind and tailwind throughout the run. The Hill Course was the obvious choice. I hit start on my watch and headed uphill into the wind. After the first mile I left our neighborhood and turned right onto Avery Ranch Road. A major four lane road that runs through our master planned community, but at 5:45 a.m., I have the road basically all to myself. I like to run streets for a large portion of my long runs, at least ½ to ¾ as again, if you are training for a road race of 26.2 miles, you need to log some of those miles on the road. As much as I love running on our trail system and it’s more forgiving surface of crushed stone – it is important for me during marathon training to “train in race conditions” and running surface streets is a great way to simulate race day. The first six miles of the run ticked by quickly, but I noticed that I really had to push on the climbs into the wind to hold pace. My breathing was quickening, I was having to use my arm swing to propel me forward, more so than a run on flat ground in light winds. This was good I thought to myself, no surprises on race day should a stiff South wind be blowing into the marathoners faces from miles 7-17, climbing to the top of the Austin Marathon Course. I hit the 6 mile turnaround under a street lamp and hit my right water bottle that was filled with Grape Gatorade. As soon as I hit my stride heading back North the wind which had been howling over my ear buds quieted. It felt as if the temperature had increased 10 degrees, and now I was feeling every bit of the 67 degree temperature and 90% humidity. Irony struck a blow to me as just by turning around and heading a different direction, “the run” had completely changed. Instead of managing hills and wind, I was now managing heat and humidity. A new opportunity presented itself. Another experience to lean on during the late stages of Austin when things get a little more “complicated” on race day. As I began my ascent over mile 8 back under Highway 183 I caught a glimpse of the first hints of sunrise out to the East. Tomorrow morning I’ll be on an airplane headed that direction I thought, heading back to Pittsburgh for the first time since Dom’s Memorial Service in August. 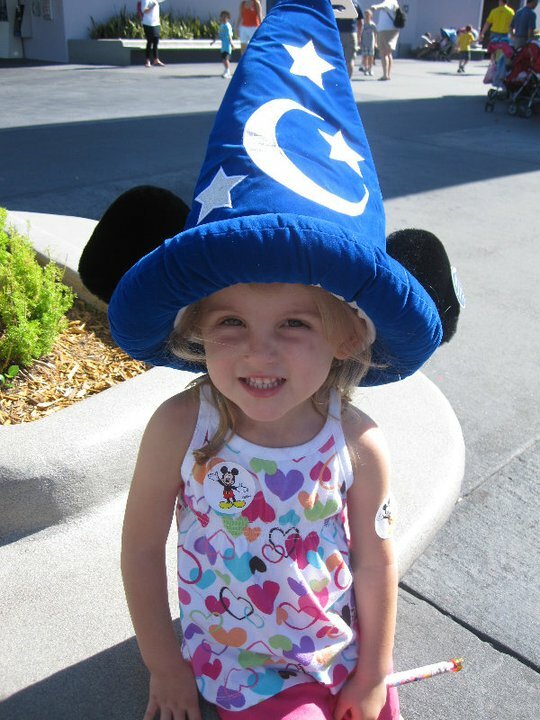 Dom and Val’s daughter Sierra just celebrated her 4th birthday this past week. 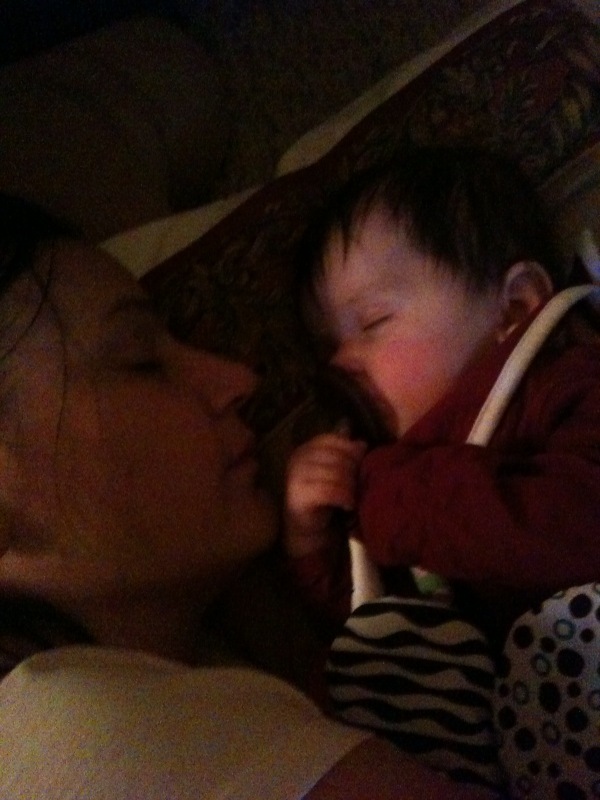 The first of many that she will have without her Daddy. On Saturday my baby girl Landry went on her very first airplane ride as she and Dawn traveled up to Pittsburgh for Thanksgiving a couple days earlier than I will due to work. Landry was upgraded to 1st class on both flights yesterday – which speaks volumes about the kind of pampering she is going to be looking for when she gets older I’m sure. Over the last four miles I thought a lot about what this week will be like. Dawn and I will be meeting up with Val, Sierra and little Nico at our friend’s Jason and Melissa’s house. Six young children in all running around, all of us sharing stories about our little ones, what is happening in our lives, all the while wishing that there was one more person there with us. As I cranked up the pace and the intensity over the last few miles, I found myself again revisiting all of the ups and downs of Dom’s treatment. What if only a few things had gone differently would we be sharing Thanksgiving with him this year also? Would he have been there to see Sierra open her birthday presents and blow out her candles? Would he tease me about changing dirty diapers and how my daughter already has me eating out of the palm of her hand. Probably. Actually, most definitely. I glanced down at my watch as I hit mile 11 and saw that I posted a 6:37 mile. Time to go to work I thought as this will be great practice to push one final mile hard on tired legs to see just how much we have left in the tank. We will be racing on Thursday morning at the 1st Annual Hopewell, PA Turkey Trot. The race will start and end at Dom’s old High School Football Field. I thought about racing there, visualizing the closing stretch of the 5 kilometer race. It will be my wife’s very first 5K on Thursday, great stuff. 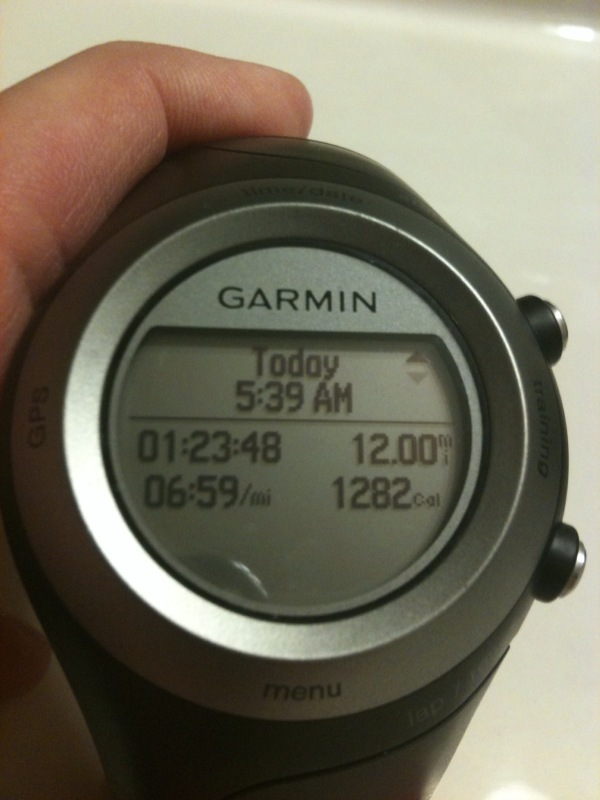 I hit the driveway at the 12-mile mark in 1:23:48 – 6:59 pace. Pretty solid way to close out a solid week of training and a great training run. The next 5 weeks are going to be tough ones as the miles and workout intensity continues to build. The only thing tougher than the next 5 weeks, will be the five weeks that follow them leading up to the Marathon taper and then on to race day. It’s tempting to look ahead to the taper and how great it will feel to come through the chute at the 3M Half-Marathon, with only a few weeks to go until the Austin Marathon. But I know better. I’ve learned my lesson. I need to focus on this week, and especially enjoying time with our close friends and family at Thanksgiving. I know that’s what our boy Dom would be looking forward to this week. I’m pretty sure he still is. Miss you Dominic. Looking Forward, Looking Back …. Friday is a rest day throughout this marathon training cycle. I guess I need to qualify that by saying a rest day from running and cycling as I do have a 1 hour strength training session scheduled every Friday. But it is a rest day for the legs, and one that I know my body really needs to recover from all of the hard pushing of three straight run days Tuesday through Thursday, and especially now that we have a tough, tough hill repeat workout every Thursday morning. 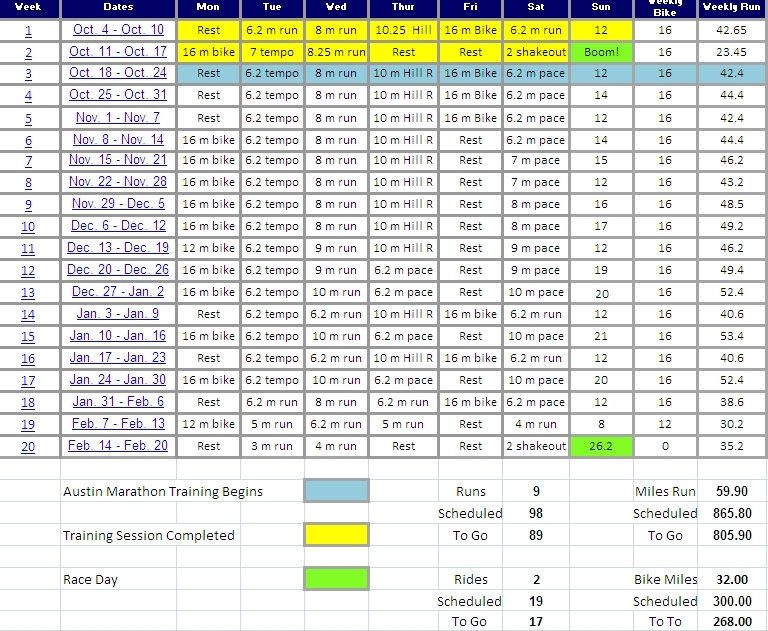 Those rest days are included on my training calendar just as a 6.2 mile tempo run is or an 18 mile long run. I record them and cross them off just as I would any other workout, as I know that they are just as important. In some ways they are even more important for an endurance athlete. Improving as a runner is about adaptation. There is nothing inherently natural about training for an endurance event. It is not your body’s natural state to jump out of bed and race 13.1 or 26.2 miles. Hell, it really hasn’t been “natural” since we were trying to run down our breakfast lunch and dinner thousands of years ago. So to improve at this sport of ours it is a matter of breaking down muscles during runs, rides and strength training sessions so that they can adapt to that increased workload and grow stronger. Rest days are a critical piece of that equation as they allow those muscle groups the time off to in fact adapt and recover. Without those rest days, your muscles are simply being beat down and not given the chance to grow stronger. Those are nature’s rules, not mine. But I am smart enough to hold them sacred and in fact even embrace those rest days. The other thing that I enjoy about my Friday’s “off” is that I feel like it grants me the opportunity to slow down, take a breath, and look at where we are in our marathon preparation. I get to actually look forward to what lies ahead as well as looking back at what we have accomplished. This weekend will wrap-up week 5 of our 18-week marathon training cycle. Normally, this would be the time when the schedule would be starting to get “tough”. I would be staring down 16, 17 mile training runs over the next two Sundays, a step-back week in week 8, then my Sunday runs would stretch on to 19 and 20 milers on consecutive weekends. Those were the workouts that I would mentally circle as the ones that would be “getting me ready” for the Marathon. There is something different this time around however as when I glance over my shoulder and look back at the last 4 ½ weeks of training we are much farther along than we have ever been before. Last Sunday we put in a 16.2 mile training run at a more than acceptable 7:14 min./mile pace. Yesterday we knocked out our fourth hill repeat session of 10 repeats over the last five weeks. Only skipping our hill work in lieu of a rest day on October 28th preparing for the Run for the Water 10-Miler race on Halloween morning. Never have we done so much “quality work”, so early in a training cycle, and I feel like it is the hills that are making the difference. The 16th week of hill repeats went into the books yesterday and I can honestly say that while I would not make the claim that “I like them”, which is bordering on lunacy, I will say that “I look forward to them” every week. Now, you may ask what the difference is. But in my already twisted “runner’s mind”, it makes all the sense in the world. I forget sometimes that things that make perfect sense to those of us afflicted with a love for this sport are borderline psychotic to those “normal” folks who are out there in the world. When I started running hill repeats back on July 22nd, I was running them on the hill that leads to the top of the dam on Brushy Creek Trail. For six weeks I toiled in anonymity on that hill running up the 4/10 of a mile hill as hard as I could, made my way to the top, turned around and jogged slowly back down to the bottom. The first week I did five repeats. The next week it was six. Then seven, eight, nine and finally 10 repeats. The plan was to continue to run 10 repeats each week, trying to run them faster and faster as we got stronger on the hills. Our “New Hill” is where we have been toiling for the last 10 weeks of repeats. It is a bit shorter at just 3/10 of a mile, but it is much steeper, climbing about 6 ½ stories or 65 feet over that distance. It is also not tucked away on a tree covered trail out of the site of all of the “normal people”. My Thursday workout is out in the open, for all of the residents of the Water’s Edge Neighborhood in Avery Ranch to see between 5:30 a.m. and 6:30 a.m. Over the past two and a half months I have made some Thursday morning friends. There is the woman who walks her small dachshund. The woman with the two white standard poodles, one much younger than the other. There is the morning commuter in his Smart Car who waves to me every week. The guy on the Harley who shakes his head at me. There is the young woman with the Yellow Lab who thinks I am the most interesting thing in the world as I race past him arms and legs moving as fast as I can. And there is the couple, I’m guessing in their mid-30’s who go for their morning walk together. Yesterday I had just made it to the top of the hill completing repeat number 8. I turned under the street lamp that marks the endpoint of my repeat and glanced down at my Garmin. 1:43 the display said. Identical to the repeat before and only :01 seconds slower than my very first repeat of the morning. I was nailing my workout. Only two repeats to go. Now 1:43 might not seem like a long time. If you are still reading, you are probably well past twice that time at this point. But to run basically all out, 5K race effort for close to two minutes up a somewhat steep hill is a little bit tough. Doing it 10 times after about a 3 minute recovery jog back down to the bottom adds to the challenge just a bit. As I passed the couple on my left I waved and said: “good morning”. The young woman smiled wide and asked: “How many of those do you do?”. I smiled just a bit as I made my way back down to the bottom of the hill by the park, made the turn, punched my watch and raced up for the 9th time. I took my time jogging back down for my final repeat. The best repeat of the morning, more so than even the first repeat when my legs feel fresh and I know I can push hard all the way through the hill. The tenth repeat is the best because it is the hardest. It is the repeat that makes me stronger, faster, tougher. It is the repeat that all the others lead up to, breaking me down to see how much I have left. I hit my lap timer at the manhole cover that marks the start of the repeat. I pushed up the incline to the ¼ mark where there is a dark black stripe on the road from the last time the street was paved. I glanced up the hill to the cluster of green bushes on the left. They mark the ½ way point up the hill. When I hit the bushes I looked up ahead to the neighborhood mailboxes that stand on the sidewalk. Just past the mailboxes, the hill increases its grade a bit and there are just two light posts to go. I get up on my toes at this point to push hard over the final ¼ of the repeat. I can feel my quads tighten and my calf muscles straining as I change my footfall. Nuts? Nah, I’m just a marathoner.